This quilt makes a throw to a queen. One of our most popular 5 yard bundle patterns. It uses 5 - 1 yard coordinating fabrics and there is enough fabric left over for the binding. This pattern can be made from a lap to a king.. 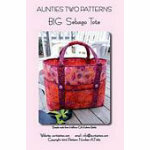 This tote measures 20" wide x 17" high x 8" deep. 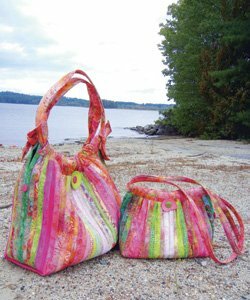 A nice size bag for a vacation or a day at the beach. 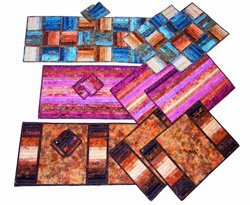 The table runners are 14 x 36, placemats are 14 x 19 and coasters are 4.50 x 4.50. Enjoy! 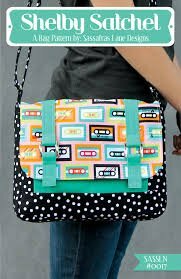 There are 2 styles of bags that can be made with this pattern. This 5 yard bundle pattern uses 5 - 1 yard cuts of fabric with enough fabric left over for your binding. This makes a nice throw 52 x 67 It is great for a beginner. This pattern gives fabri needs up to a king size. 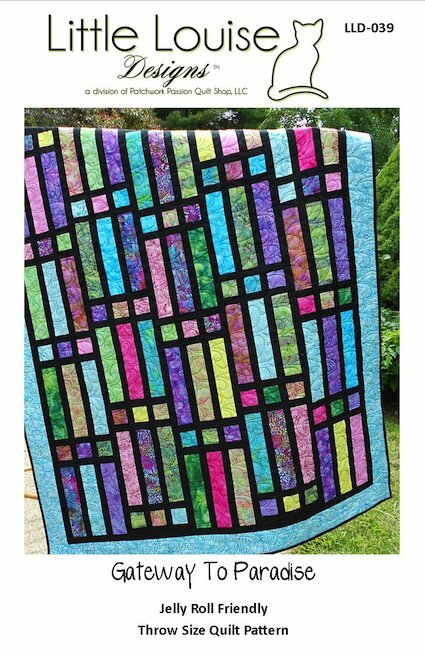 A fat quarter friendly quilt project with a contemporary flair. A nice table runner with a contemporary design. This quilt can be made in a lap size to a king. 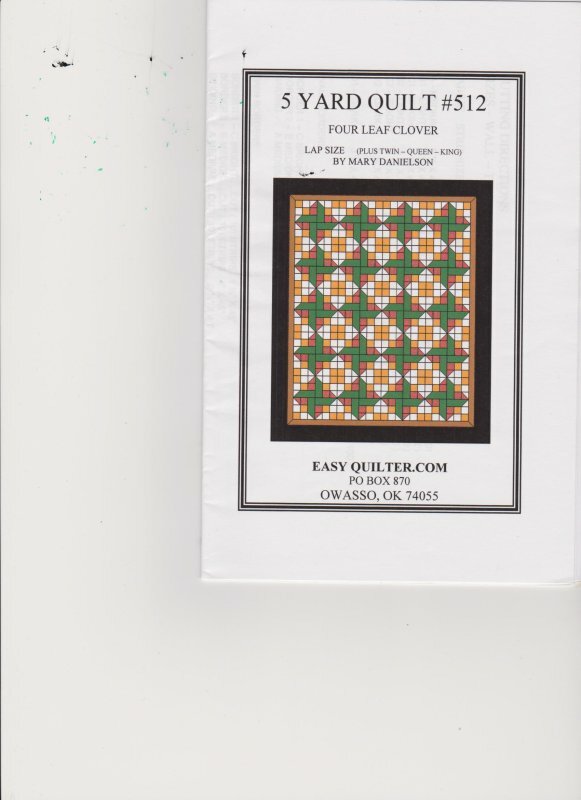 Enjoy this great fat quarter pattern. Each fabric only touches the sashing, so many colors and prints can be used. My husband made this table runner. It turned out beautifully. He did a great job. If he can do it - you can too! A 5 yard bundle pattern that uses 5 - 1 yard cuts of coordinating fabrics. There is enough fabric left over for the binding. The size of this quilt is 43 x 65. 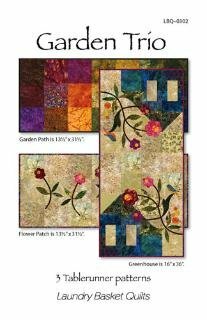 The Garden Path pattern uses 5 - 1 yard cuts of fabric with enough fabric left over for the binding. This nice size throw finishes at 51 x75 and has the fabric requirements up to king. 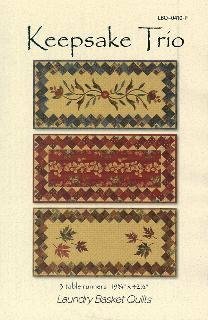 This pattern makes 3 gorgeous table runners. We also have it as part of a kit. 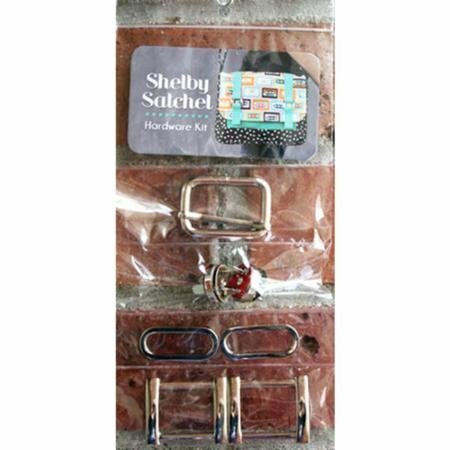 The kit includes the fabrics, pre-cut silhouettes, and pattern for 59.99. This pattern uses the batik silhouettes to decorate the table runners. 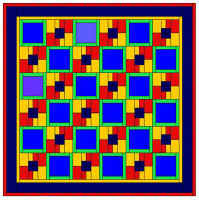 Another winning pattern from LLD.You can use 10" squares or 1/8 yard cuts. 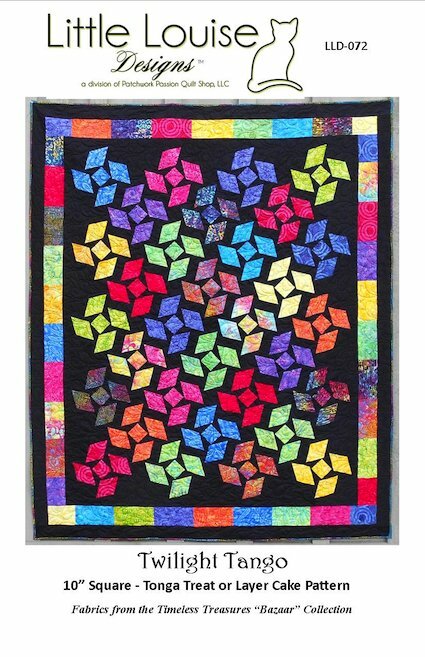 Depending on what colors you choose this quilt has endless possibilities. 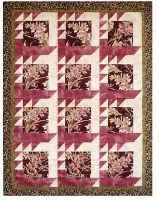 You can use 10" squares, fat quarters, or yardage to make this quilt. This pattern uses 5 - 1 yard cuts of fabric with enough fabric left over for the binding. Shadow Boxes makes a nice throw size 55 x 71 This is a great quilt for a beginner! A pattern we have used many times. So versatile. It can be elegant using orientals or fun using kids fabric. You can not go wrong with this pattern. 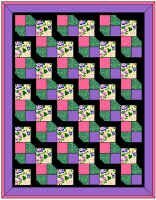 A pattern for a table runner or wall hanging finished size 18 x36. This fabric can be made to be elegant or just plain fun. Try it today! A 5 yard bundle pattern that uses 5- 1 yard cuts. The pattern is done as strip piecing and goes together fast. There is enough fabric left over in 5 yards for the binding. The size is 53 x 71. Three times the possibilities. We used this pattern using the Porcelain Blue Collection. What a beauty it turned out to be! One of our wonderful quilt customers made this quilt for us using batiks. 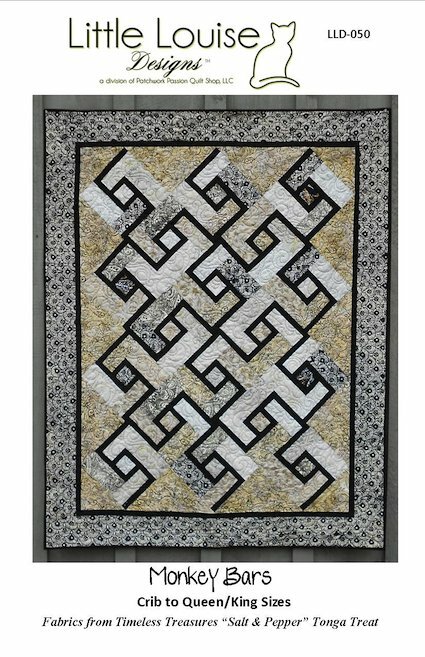 This quilt has so much movement and eye appeal. 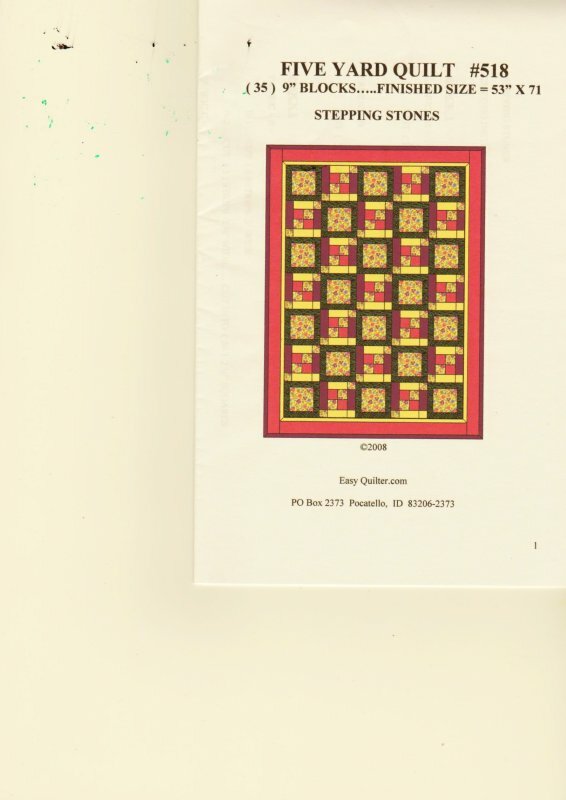 This quilt pattern has the best instructions for putting a triangle in a square.